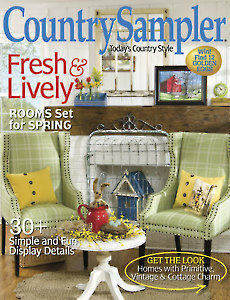 Put some spring in your decorating step with the sweet ideas and lovely decor featured in this issue of Country Sampler. 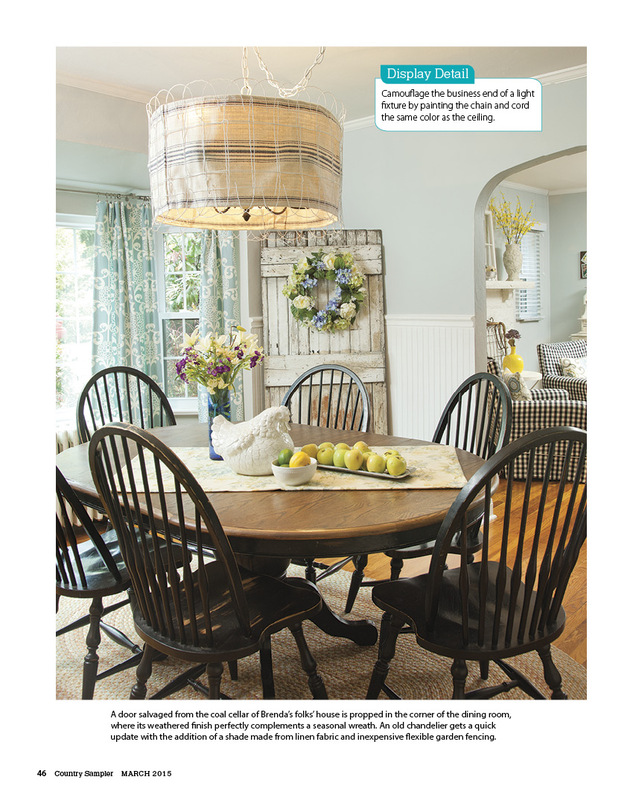 Visit four inspiring homes, including a past-perfect retreat, a rustic yet refined Tudor, a prim-country bungalow and a blogger’s crafty cottage. 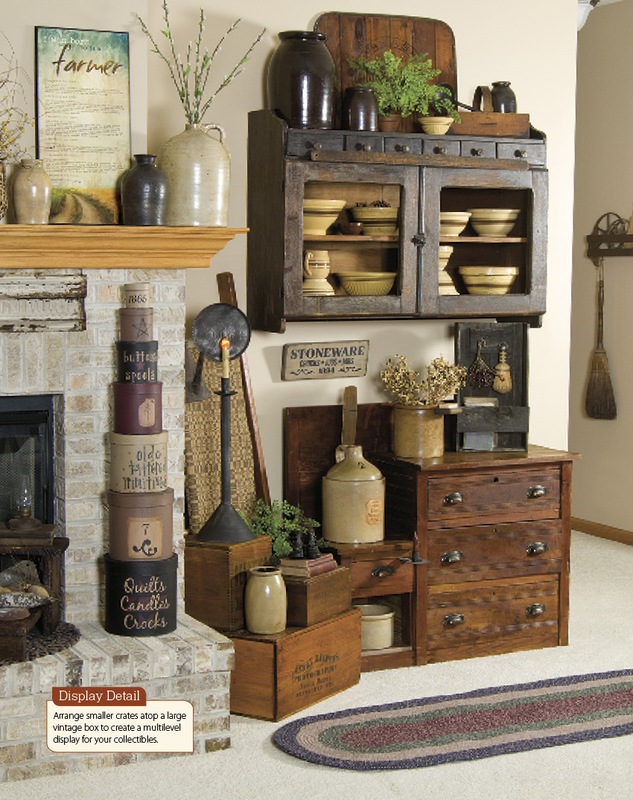 Learn how to ground your rooms with black furniture and accessories. 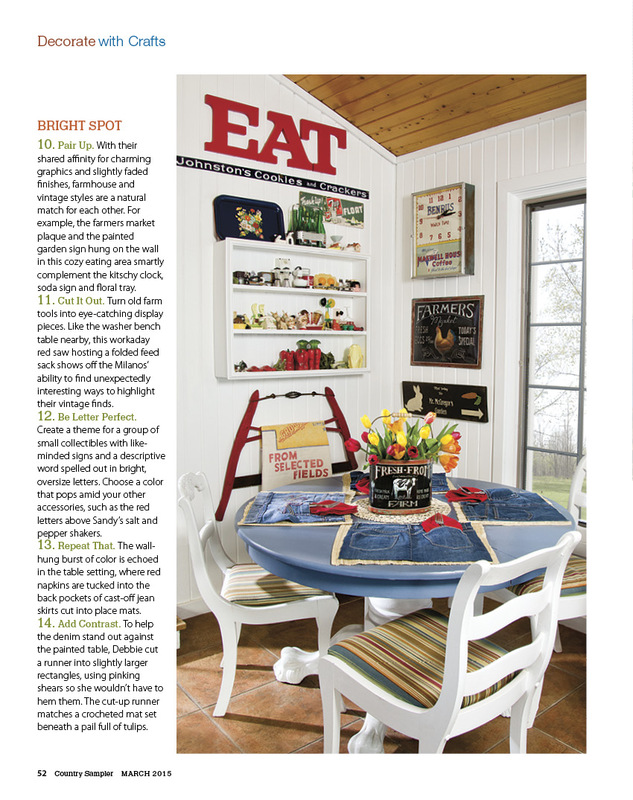 Arrange simple spring vignettes that will brighten up any space. 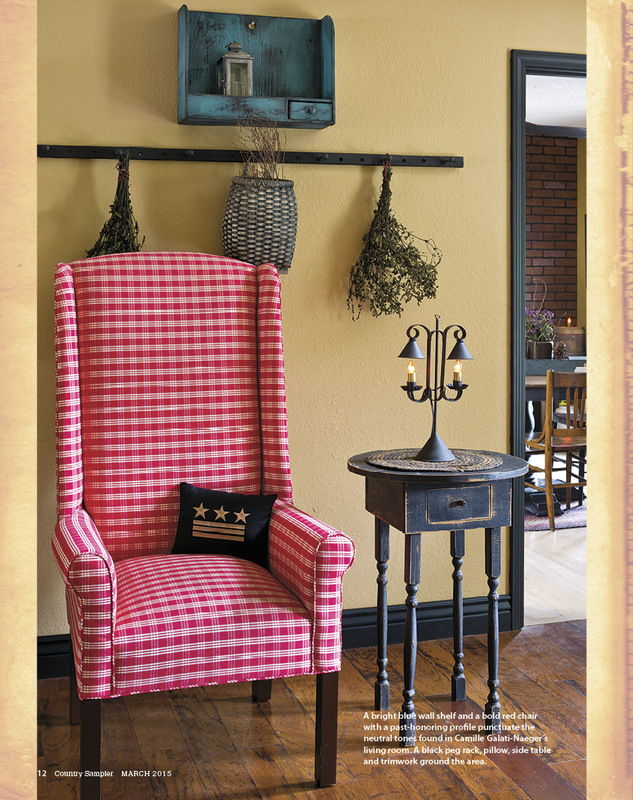 Create a timeworn wall treatment in four easy steps. 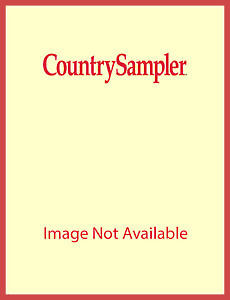 February/March 2015 Country Sampler  $5.0034 in stock.